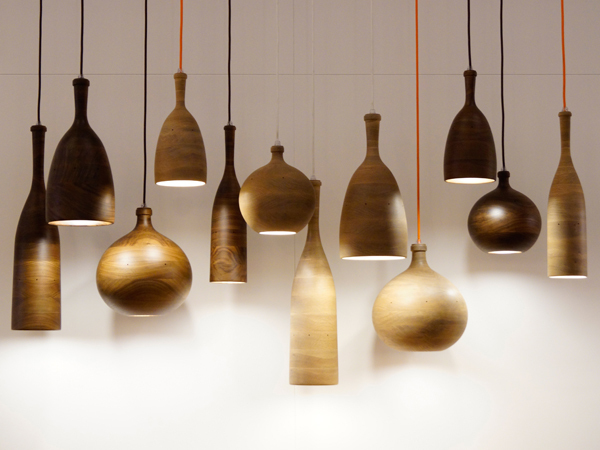 British design studio Channels presented a new collection of wooden lamps in Milan. Designed by Samuel Chan, they combine contemporary design with classic wood craft. Each is turned from solid American white oak or American black walnut, creating soft rounded forms. 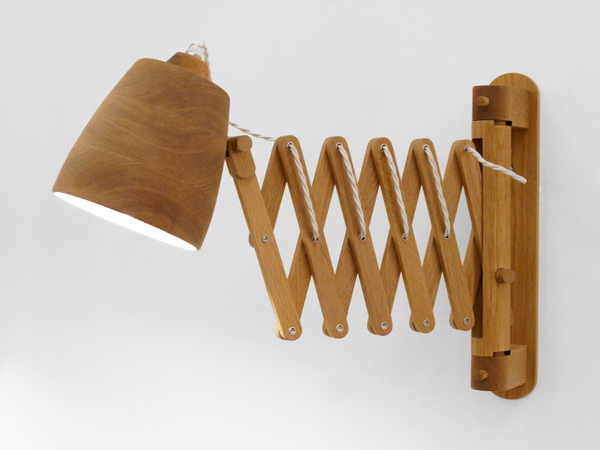 The Finnieston wall lamp is fixed on a wood mount with an extendable neck, creating a modern take on the traditional accordion lamp, while the Three Wise Men pendant lamps resemble suspended bottles.